We've all heard about that wonder product, the one that professes to heal every skin condition from a bee sting to severe eczema and everything in between. You buy it, only to get it home and find that, well actually, it doesn't do what it says on the tin! However, finally, there really is a skin saviour for just about every ailment you can think of in the form of Tropic's Tamanu Healing Balm. An absolute skin hero, this multi-purpose green balm helps to repair, soothe and nourish skin and, the best bit, it contains NO chemicals, preservatives, lanolin, oils or parabens. Suitable for babies (nappy rash, eczema), breast-feeding mums and children with cuts, grazes and bumps, a little bit of Tamanu Balm fits the bill. There's been great feedback from customers suffering from psoriasis and rosacea and people wanting to improve the appearance of scars. It's also great for the treatment of bites, stings and even sunburn if you forget your Techniblock sunscreen and the sun decides to make a last-minute appearance! This healthy, herbal balm is packed full of skin-loving ingredients such as Tamanu Oil, aka "green gold", a remedy trusted for centuries in the Polynesian islands. Found to be one of the most effective ingredients to promote the formation of new tissue, this balm helps to accelerate skin healing and the growth of healthy skin. Containing anti-oxidant rich blackcurrant extract and raspberry seed oil, as well as Monoi butter, Tamanu Healing Balm is best known for it's anti-bacterial properties, unsurpassed skin regenerating abilities and anti-inflammatory, conditioning properties. 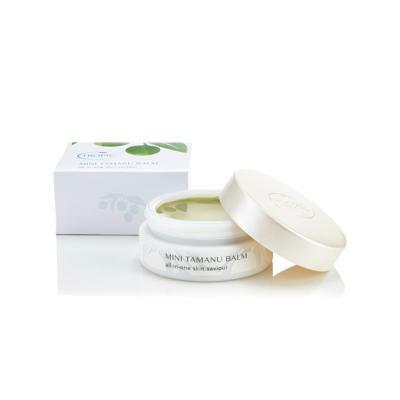 It helps to hydrate skin, nurturing it back to good health while deeply moisturising to leave it smooth and supple.